It’s not too long before school goes back into full force and raking leaves become a part of your weekend routine once again! Before fall arrives, there are some home maintenance tasks that you can check off your list now. Get ahead of yourself as far as home maintenance goes by getting these end-of-summer tasks done so that you can have peace of mind as you enter the next season. Start with your back deck. Your back deck, patio or porch have likely gotten a lot of use this summer, so this is a good place to start as you begin to check off your end-of-summer to do lists. First, give your deck a good wash. Whether that means using an old fashioned sponge and soapy water or a pressure washer (just make sure to not damage the wood), make sure you finish the surface with a new coat of sealant in order to protect it from damage all throughout the cold weather seasons. While you’re working on the exterior of your home, now’s a good time to give it a fresh coat of paint. From your shutters to your front door, this is best time to work on your home’s exterior since the paint will dry much quicker during the hottest month of the year. Now’s the perfect time to transition your summer gardens out and begin planting fall vegetables. From beans and broccoli to collards and green onions, these vegetables should thrive through autumn and some will even survive the winter! So if your cucumber, tomato and pepper plants are on their way out, it’s time to discard them and bring on the fall vegetables. Cleaning your gutters from debris isn’t something that should be reserved for the spring after winter has come and gone. Cleaning your gutters out is also a perfect end-of-summer task to take care of. With summer’s thunderstorms and rain, your gutters are sure to be littered with leaves, twigs and other remnants of the season. Plus, this way you won’t have to worry about fall leaves taking over your gutters too soon. Tidy up your summer items. 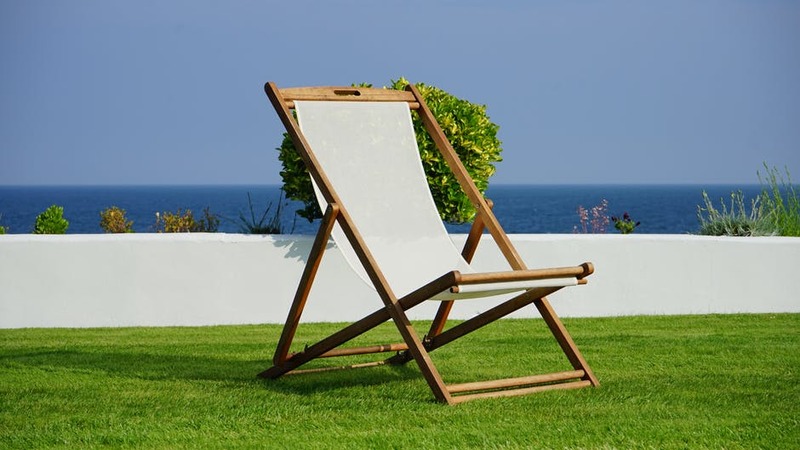 Of course end-of-summer maintenance will include stowing away and tidying your summer items. Now’s the time where you can deflate your pool toys and give your patio furniture a good cleaning before it will be soon stowed away. You might clean and store your hammock and patio umbrellas, too. Once you’ve taken care of your outdoor tasks, you can change out your bedsheets to a thicker textile, put away your beach towels, and stow away the majority of your summer wardrobe.